How can a modern legend like the Mustang digital amplifiers be improved? 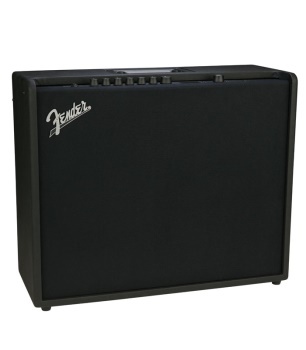 Simple, Fender does it again, bigger and better with the 200 watt Mustang GT 200. They take seven decades’ worth of experience crafting inspirational tools and use it to add new (and better) amp and effects models while making it easier to use all of this without sacrificing one iota of power. We make it easy to control a studio’s worth of authentic amp and effects models with one finger via Bluetooth and the exclusive Fender Tone app. Fender creates the Mustang GT 200 digital amplifier.